Q: Is this in the same universe as Blade Runner (1982)? Q: The eye nurse seems to sing someting in foreign language. What is that? Q: Why does Dr Hineman kiss John? The best film to date so far this year as of 8/02! This film is about a John (Tom Cruise) who is haunted by the disappearance of his young son many years ago. 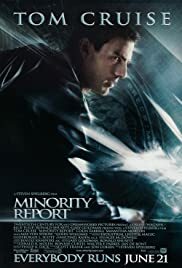 To cope with the grief he works at a crime pervanetion network founded by Lamar Burgess (Max Von Sydow) that can predict murders and stop them before they occur. However, one day while at work Tom Cruise is shocked to discover that it is saying he will be the next person to try and commit murder. 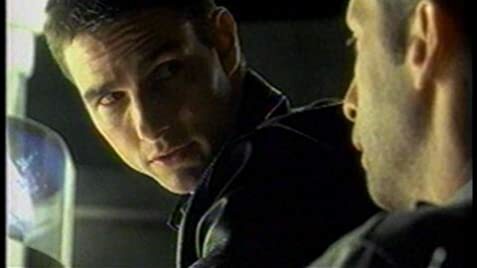 John thinks that an agent named Danny (Colin Farrell) who is investigating the the unit is trying to set him up. To add to the problems, the person John is accused of trying to murder is a person he does not even know and it says John will kill him in 48 hours. Fast paced, exciting and deeply moving & thought provoking film. Tom Crusie does good work here. Colin turns in a deliciously nasty performance. However the film belongs to Max Von Sydow who is absolutely genius here. Director Speilberg treats the audience to some highly original and creative visual effects and has presented us with a fun story that covers all the bases. The ending is especially good. Rated PG-13; Violence and Profanity.